This visionary animation & live action director will enchant you with his amazing masterpieces. Jannes Hendrikz is a visionary director and an expert in his craft, creating endearing, magical worlds and breathing life into lovable characters. His work, characterised by meticulous attention to detail, spans through the many mediums of stop-motion, miniatures, live action and both 2D & 3D animation. Jannes also formed a third of the fantasy collective, The Blackheart Gang, whose focus largely concerned explorations into a realm best known as The HouseHold, and which manifested in short films, books, music, and installation pieces. Following the huge success of The Blackheart Gang’s part time project “The Tale of How”, Jannes established the multi-award-winning company Shy the Sun with Ree Treweek and Nina Pfeiffer. Shy the Sun was a concept-driven production house that mostly produced international commercials. His technical expertise comes from his beginnings as a high-end compositor at renowned post company Black Ginger. 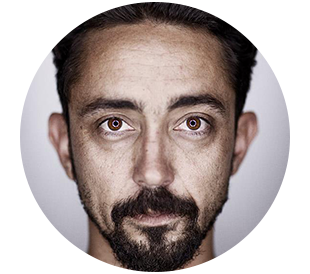 He’s worked on commercials for international brands such as Electronic Arts, United Airlines and Ribena. His most iconic South African commercials are the beloved M-Net, Bakers Biscuits, and Friskies spots. His success as an animation & live action director has been based on his selection of unusual artists and art direction, and his ability to galvanise and supervise teams of high end artists to achieve his remarkable vision.